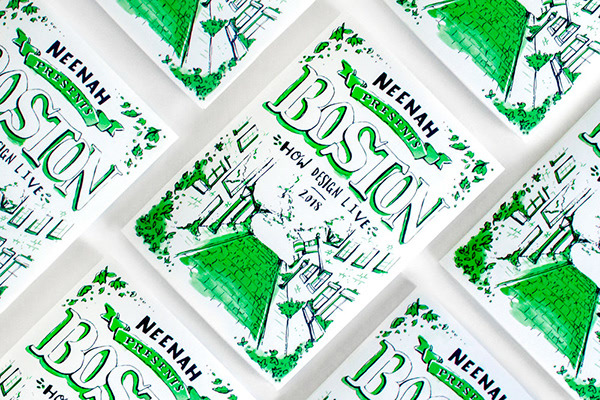 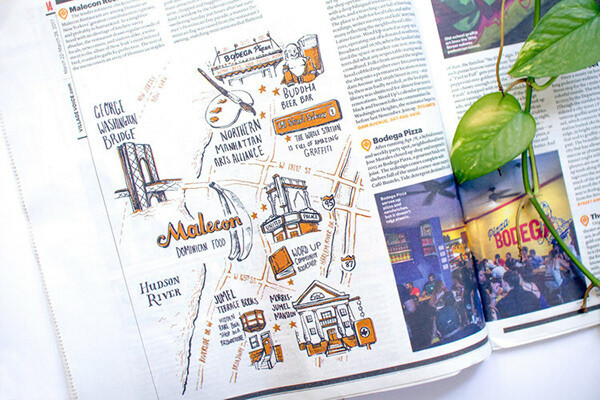 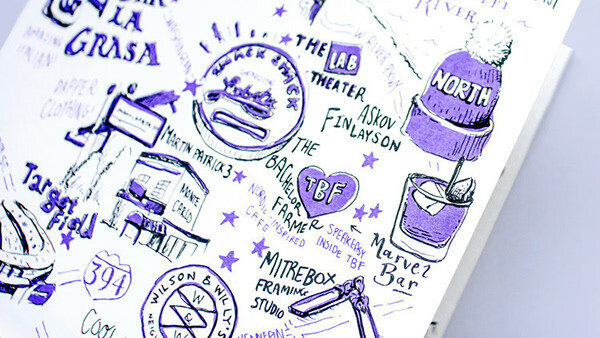 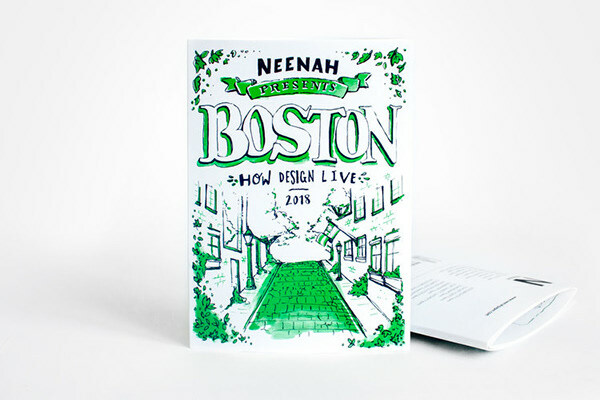 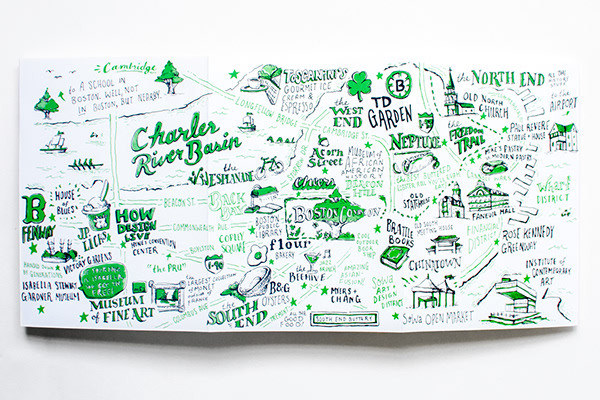 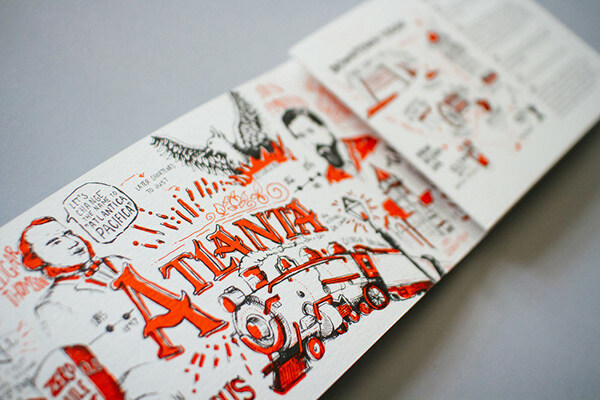 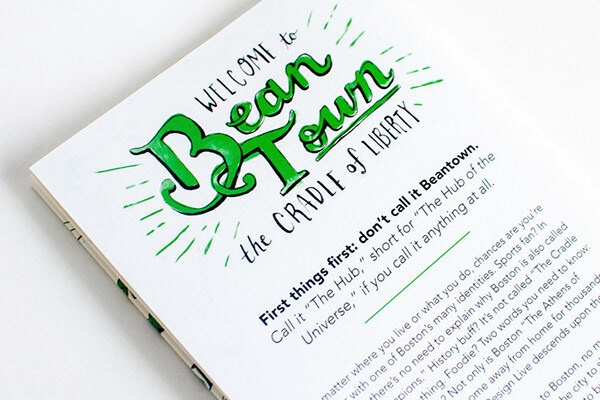 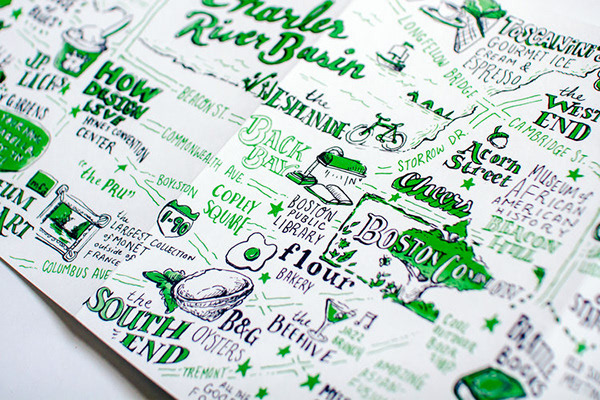 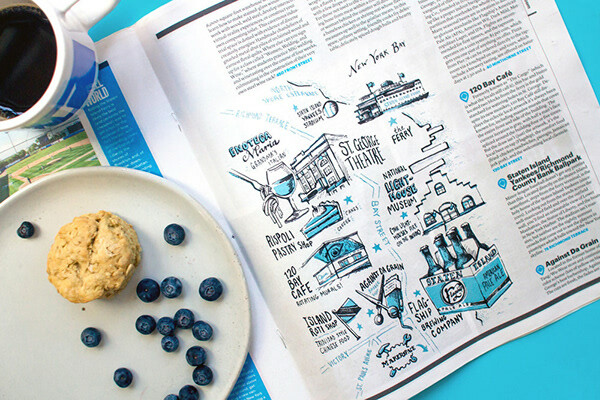 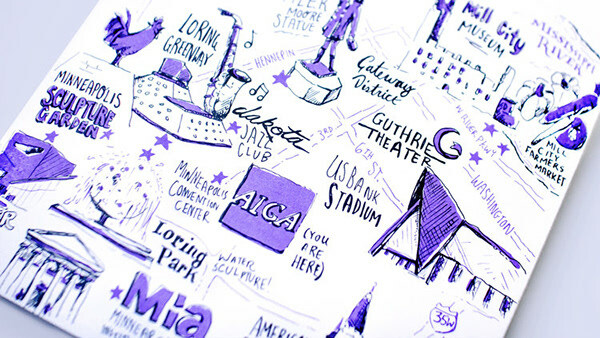 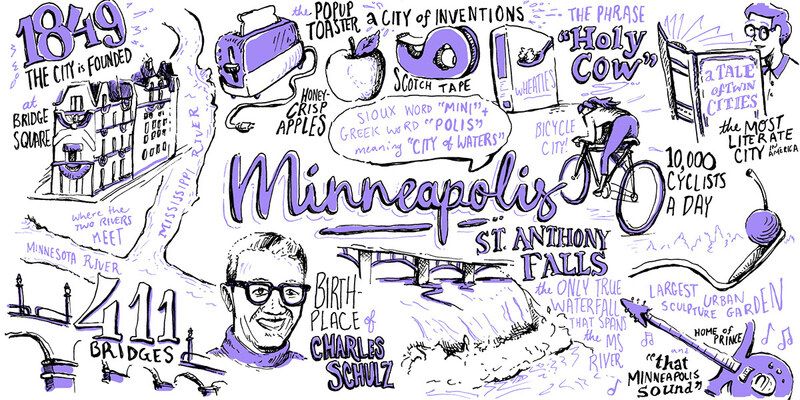 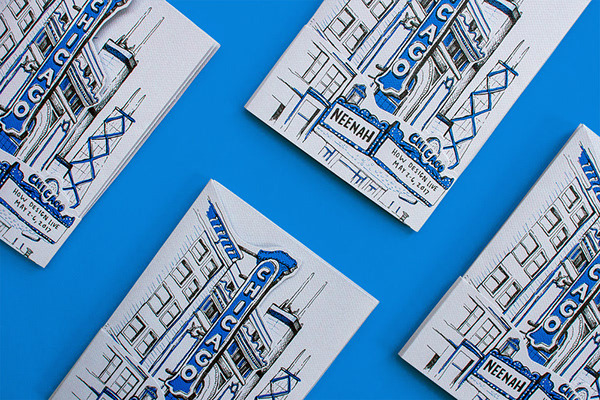 An artful atlas of hand-drawn, hand-lettered illustrated maps and guides to cities and their neighborhoods – from New Orleans to Boston, Atlanta to Chicago, and Minneapolis to New York City. 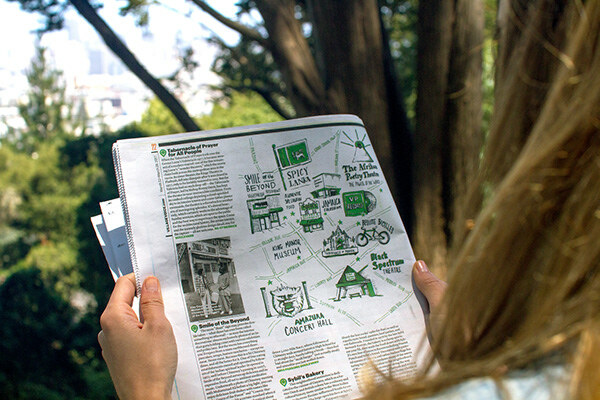 Over several years, I've researched and developed a series of city maps with historical and cultural guides to communities across the nation. 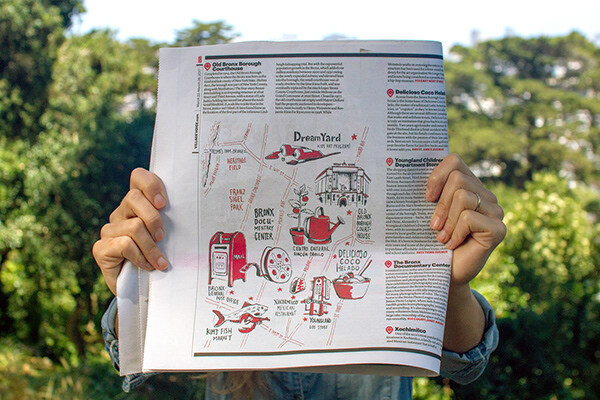 This has been a fascinating project to work on: seeing a city not through the lens of a traditional wayfinding –or even necessarily geographically helpful – system but one that maps the community based on the people and places that make it distinct and memorable. 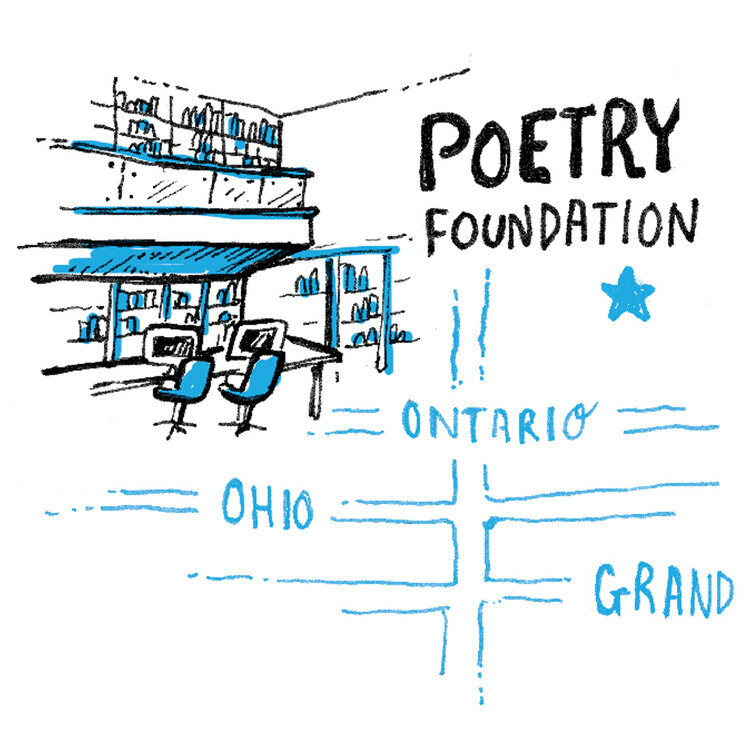 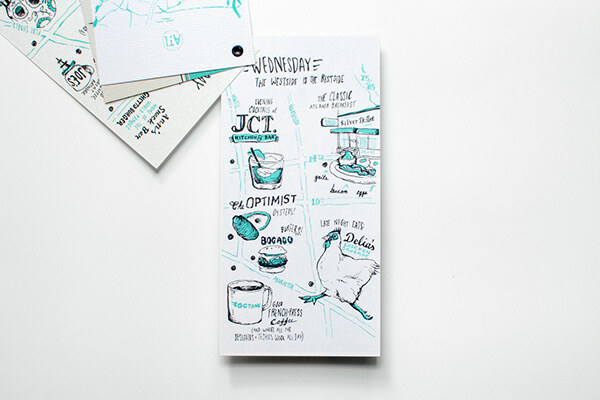 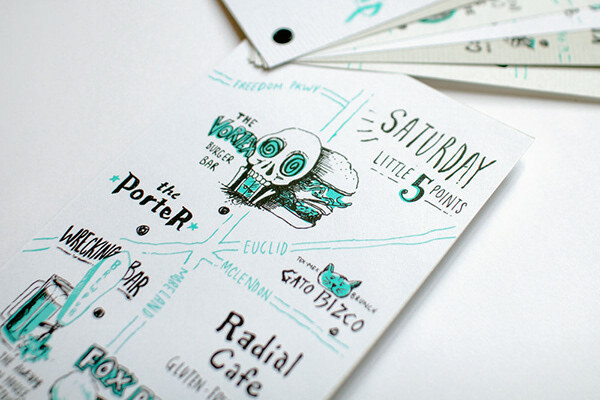 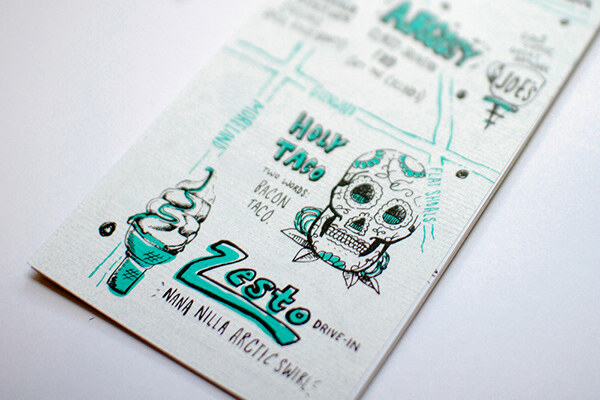 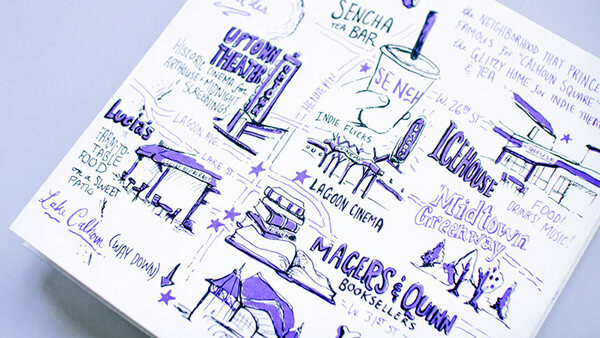 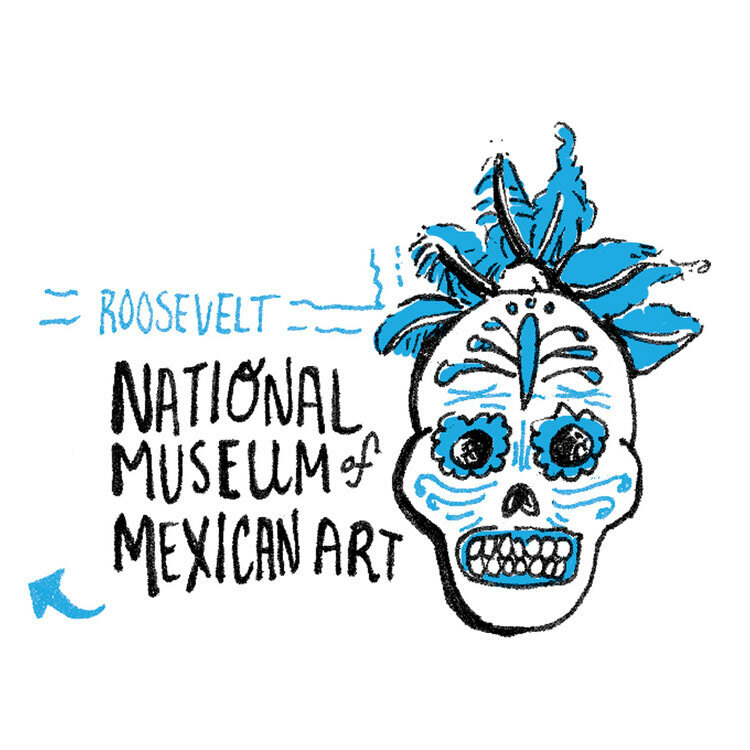 Each map features rough, pen-and-ink line work with a single pop of one spot color. 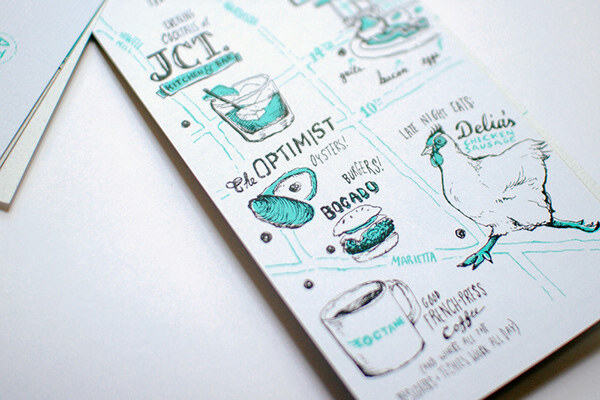 While each functions as a distinct unit (please click to view the full project! 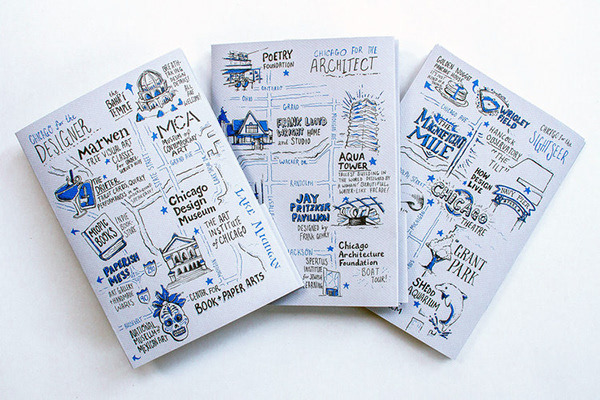 ), I am proud of how they also operate as a full set: an expanding, artful atlas that I'm continuing to build. 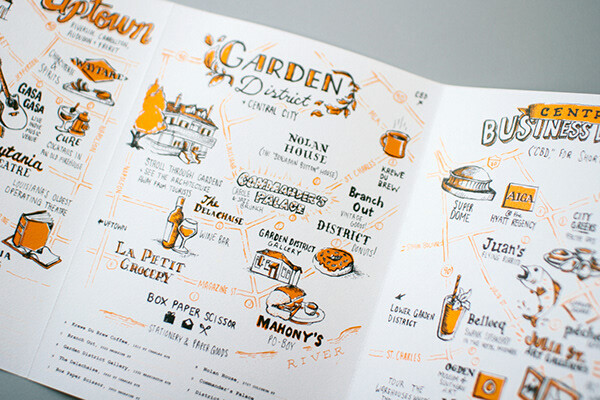 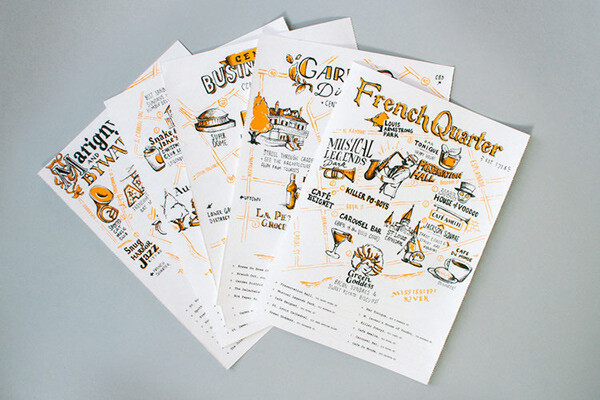 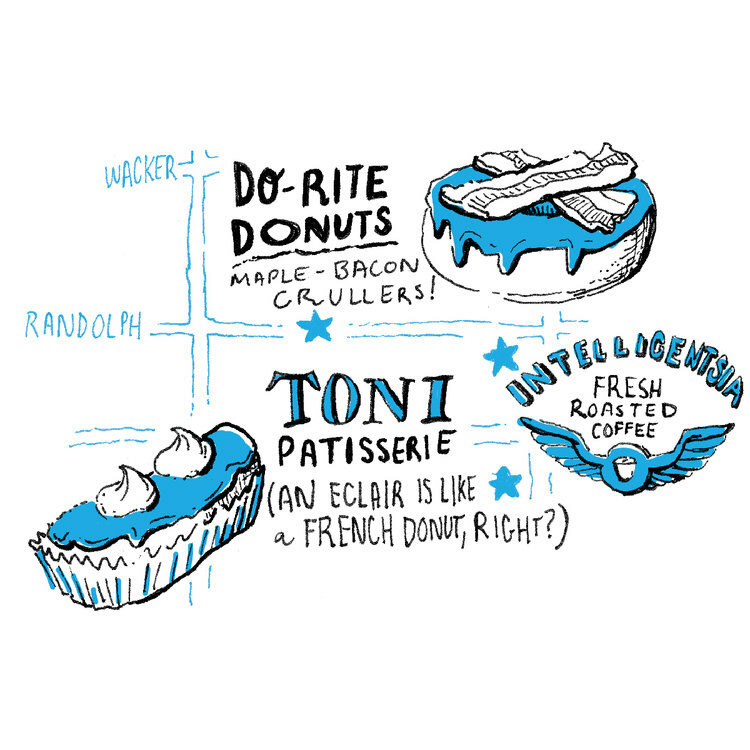 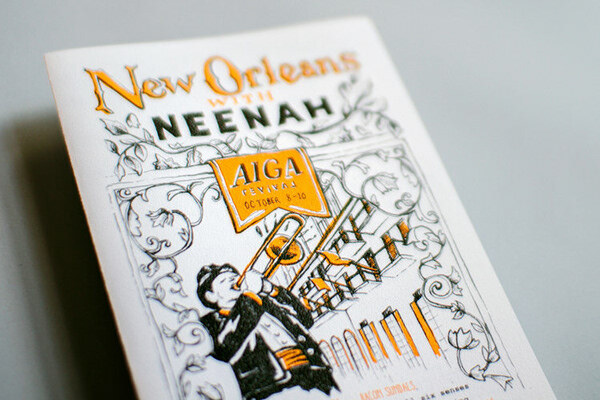 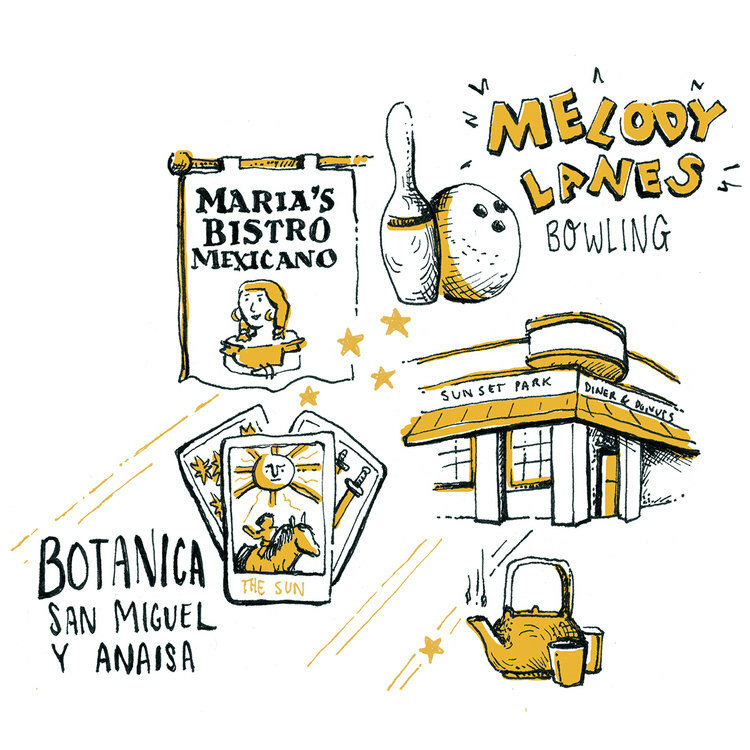 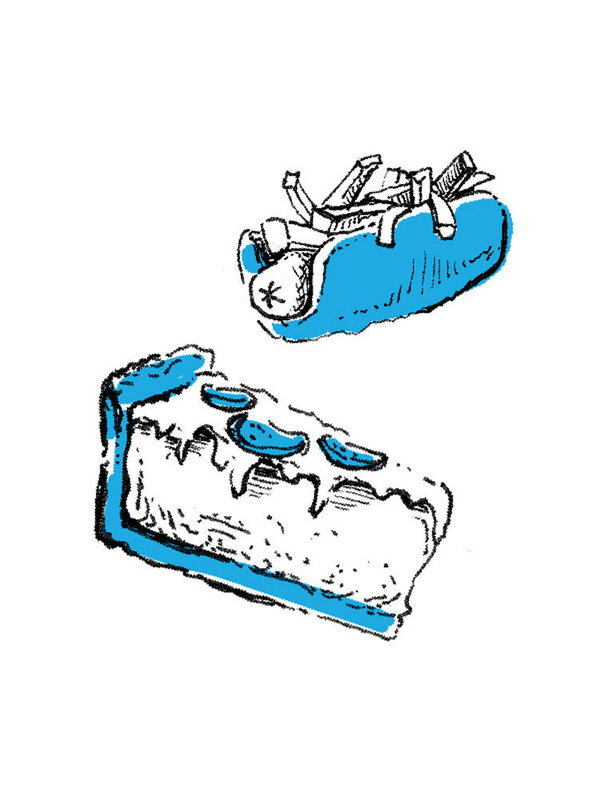 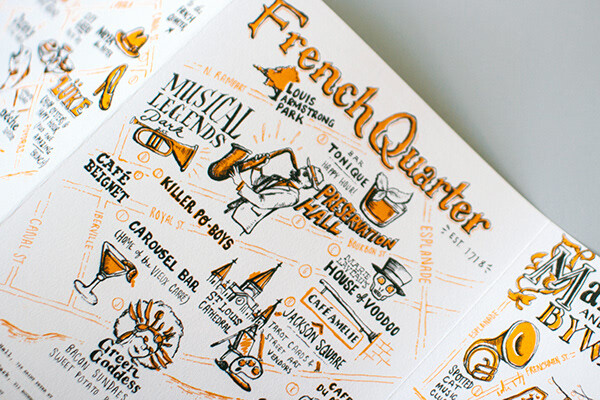 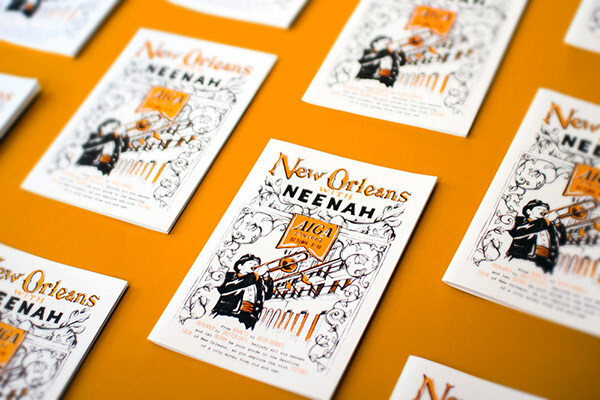 For the 2015 AIGA Design Conference: An illustrated neighborhood guide of the Big Easy. 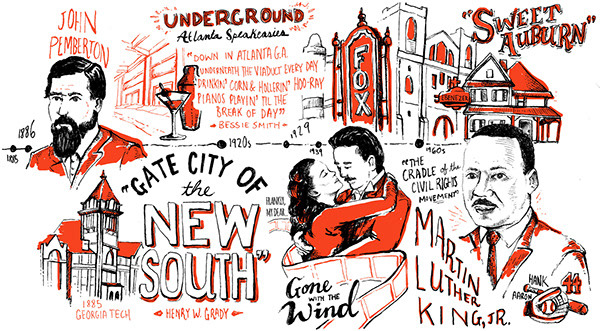 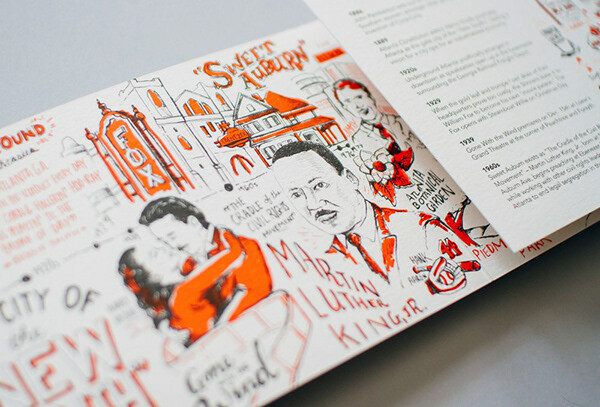 For the 2016 HOW Design Live Conference: An illustrated history of the Empire State of the South. 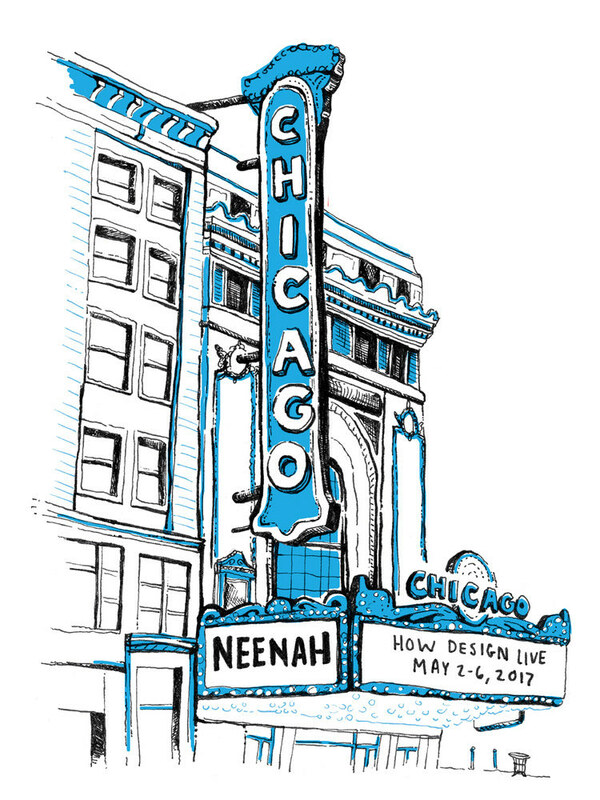 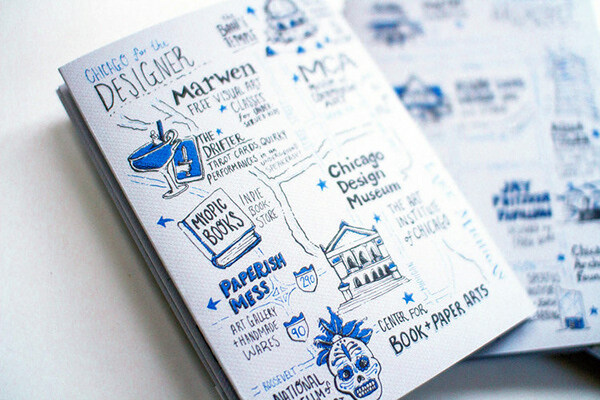 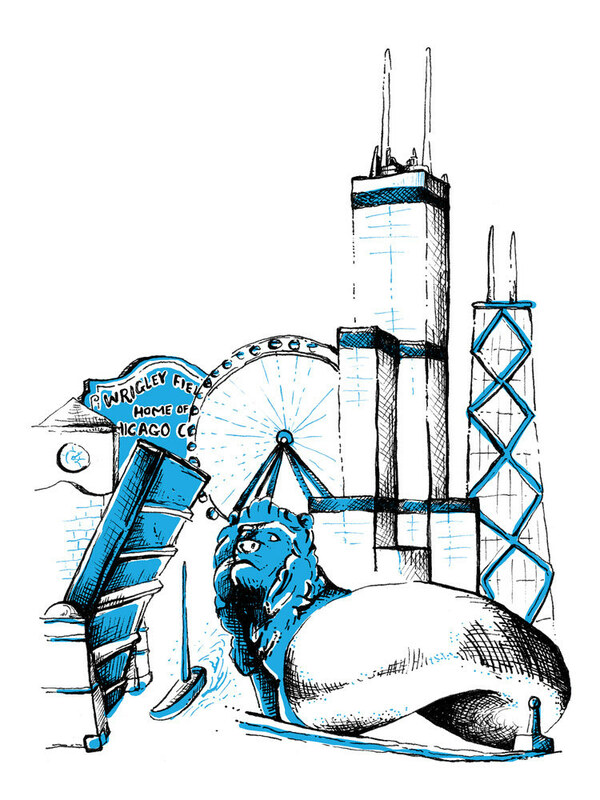 For the 2017 HOW Design Live Conference: An illustrated guide to the Windy City. 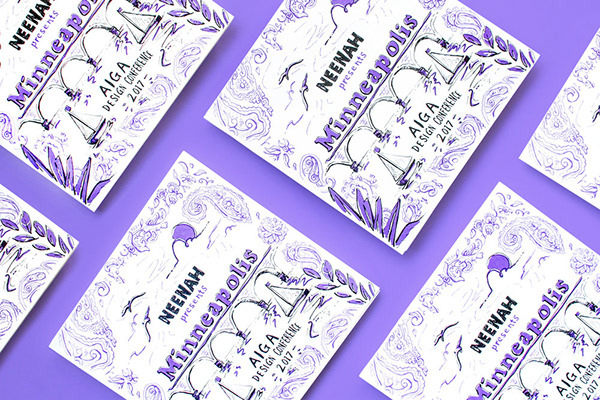 For the 2017 AIGA Design Conference: An illustrated guide to the land of ten thousand lakes. 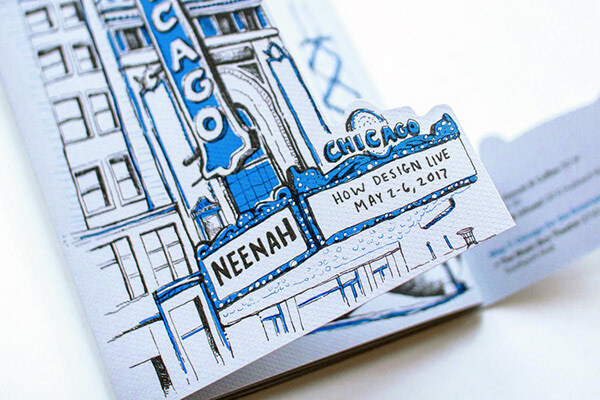 For the 2018 HOW Design Live Conference: An illustrated guide to the Hub of the Universe. 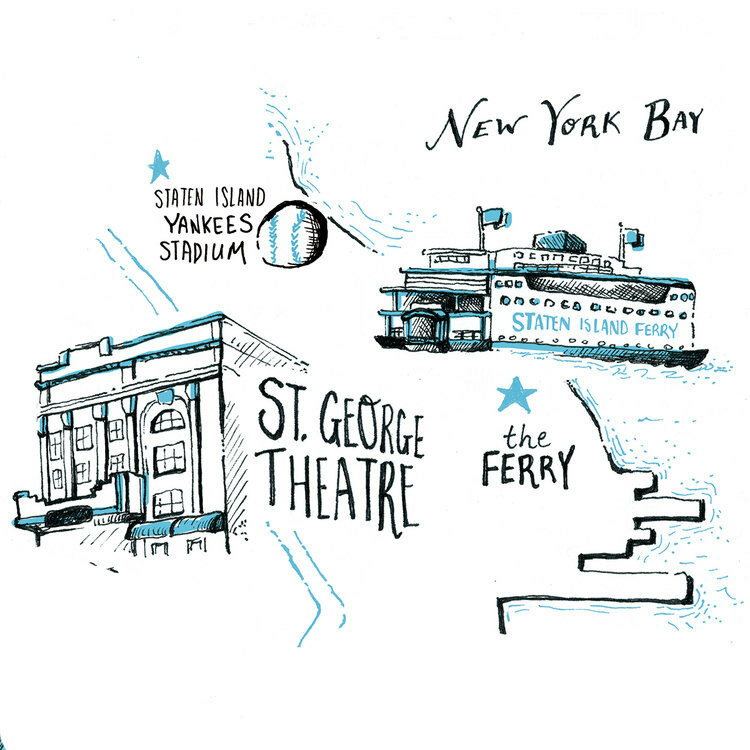 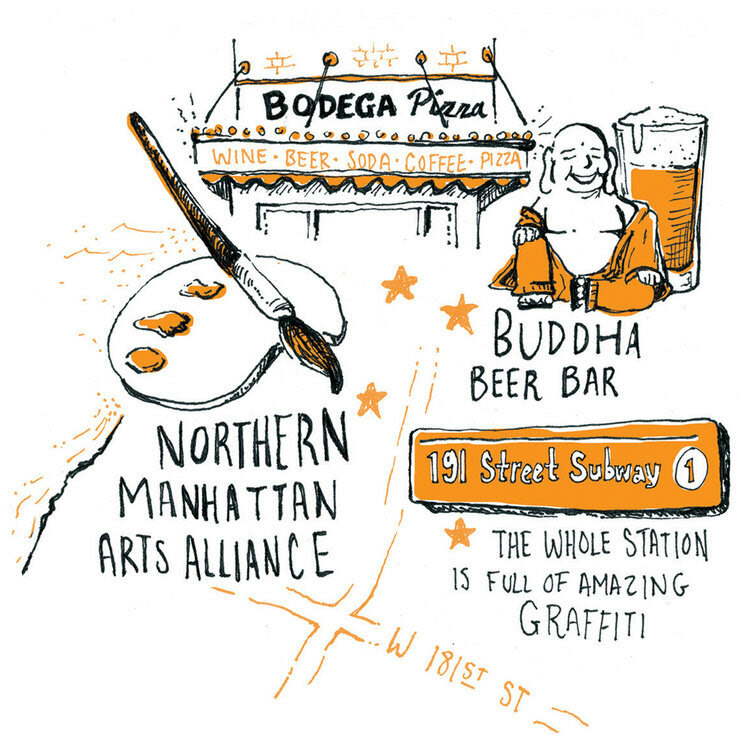 For the Village Voice's "Five Boroughs, No Waiting" – an illustrated guide to five neighborhoods in New York City. 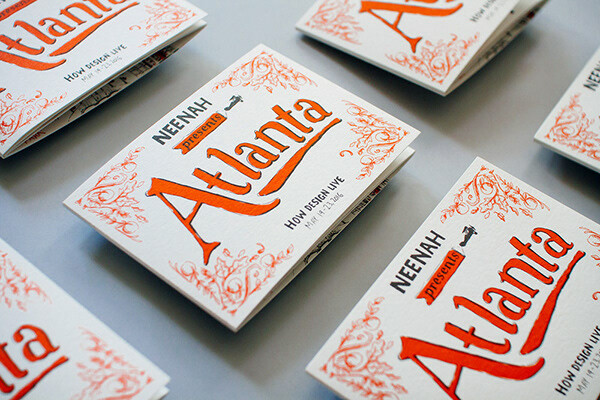 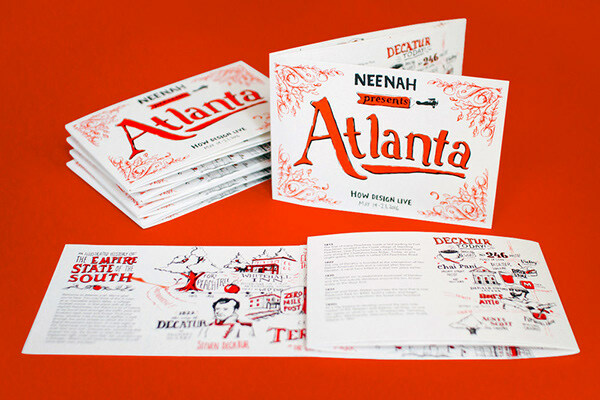 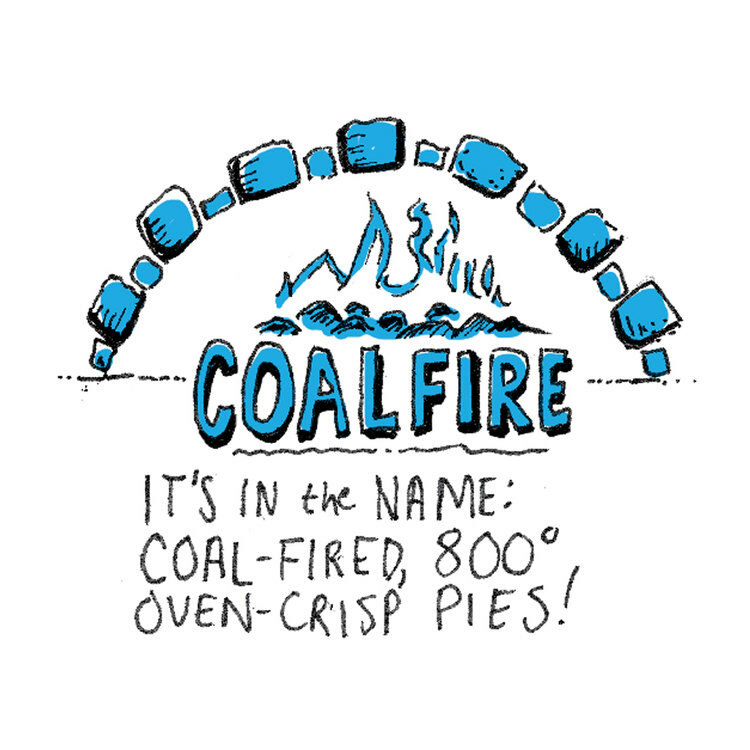 Neenah Future Classics: "Atlanta on 30,000 Calories"
An illustrated food guide and neighborhood tour for a week in the Big Peach. 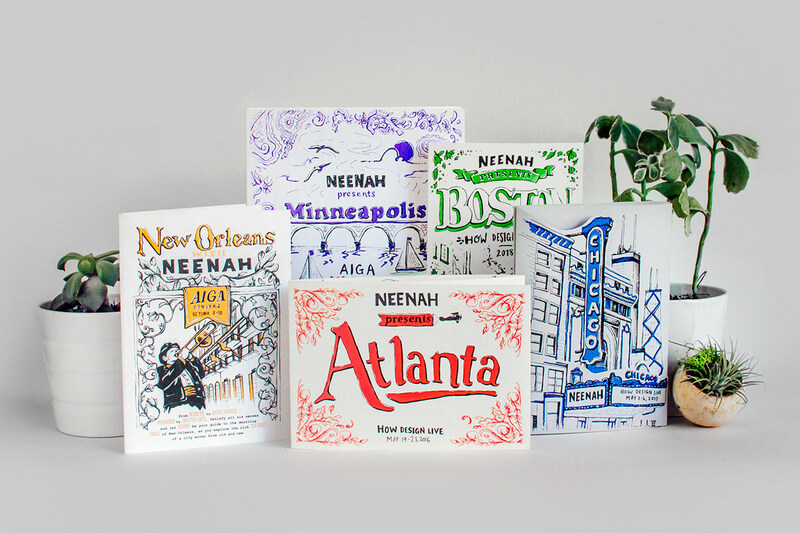 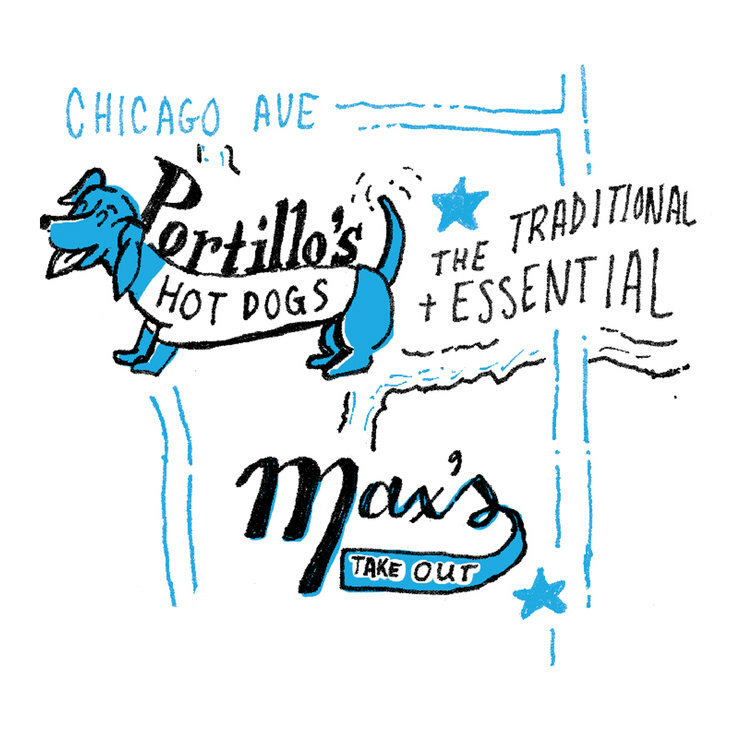 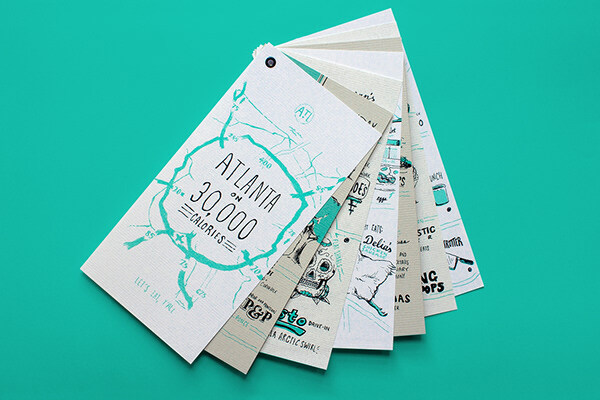 Hand-drawn, hand-lettered, original illustrated maps and guides to cities and their neighborhoods – from New Orleans to Boston, Atlanta to Chicago, and Minneapolis to New York City.